Have a train fan in your family? 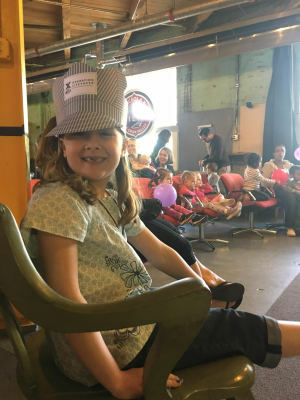 Host your birthday party at Jackson Street Roundhouse & Museum! The cost of renting our facility is $200, plus museum admission for birthday party guests and family. Museum admission prices on Saturdays are $12 for adults, $10 for seniors (62+), $10 for children (ages 5-15), $5 for children (ages 2-4), and free for children under age of 2. Admission includes the cost of a caboose ride. We’ll take care of the set-up and clean-up of both tableware (7” plates, napkins, forks, and spoons). Also included are party favors, which vary, for the whole group. You may bring your own food to enjoy, as well as any additional games or crafts you have planned for your party. Caboose rides are available on Saturdays! Guest lists must be supplied before the party and a down payment of $100 (non-refundable) must be received in advance. Final charges will be based upon guest list supplied, and can be paid the day of the event at our ticket counter. To check availability, ask questions, or to make a reservation, call Minnesota Transportation Museum at (651) 228-0263 or submit your request below. 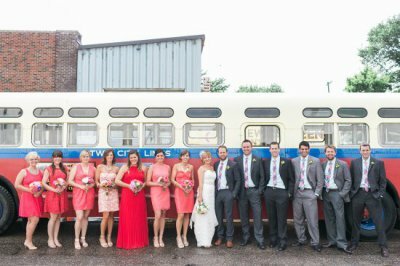 WEDDINGS, CORPORATE FUNCTIONS & MORE! 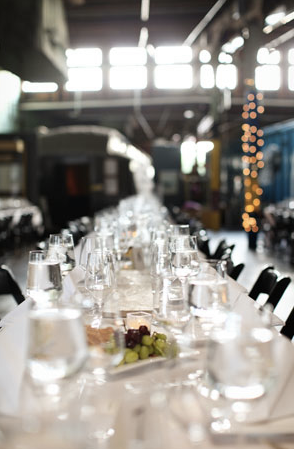 Jackson Street Roundhouse & Museum is available for any type of group! Reserve our unique venue for weddings, receptions, social functions, and many other events, both private and corporate. Group rates are available! Email for details and a staff member will be in contact. To secure a reservation, a $100 down payment is required in advance. For more information, please fill out the form below to be contacted. Thank you! Wedding? Anniversary party? Company party? Do you have a large group, such as a senior center or school group? Give us a call to book your event on the scenic St. Croix River Valley Train ride. Private trains and special-event charters can be arranged on weekdays May through the end of October. The minimum charter fee is $700. (A group of 42 adults at $17 is $714). Catered meals are available. Pricing must be arranged separately for your situation. A deposit of $100 is required for all charters. Deposits are non-refundable, but can be applied toward an alternate date. Full payment and a passenger count must be received a minimum of 7 days before charter date. Reservations can be made by phone: (715) 755-3570 or email mtmbarb@gmail.com.